For some reason I decided it was a good idea to fish during the first rain of the fall. I didn't get anything but a pair wet waders and jacket. Lesson learned. The rain is like shuffling a deck of cards for steelhead. 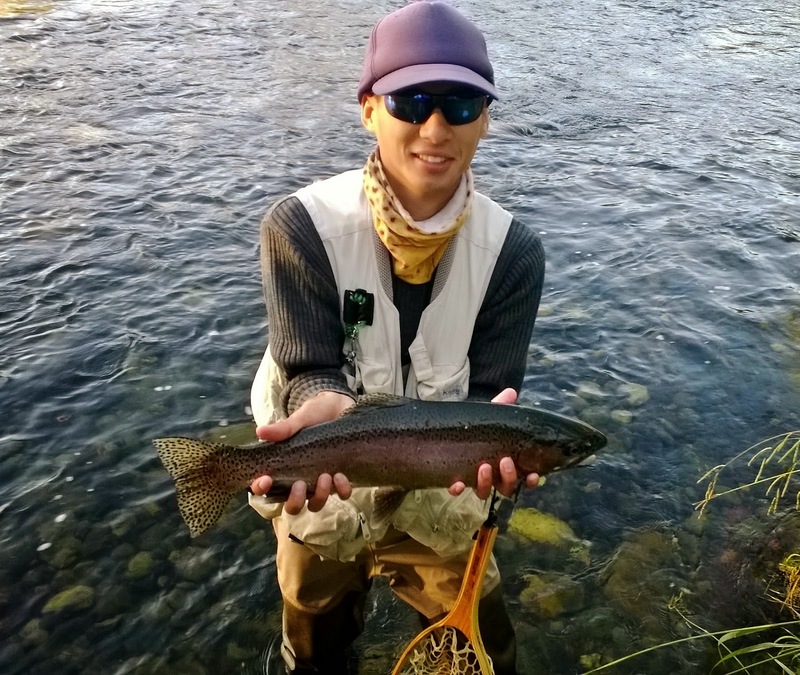 Rainy weather is like shuffling a deck of cards, the steelhead are moving around throughout the system and you'd be lucky if you found one. Once the rain has passed the shuffling is over. Game on. 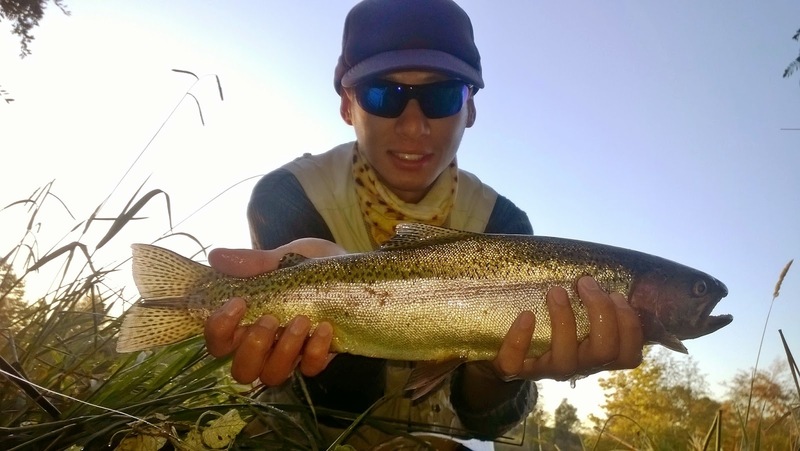 Steelhead fishing is still tough with sunny conditions. The morning is the only time of the day I am able to hook any fish. Once that sun hits the 10 o clock mark the fish are down. 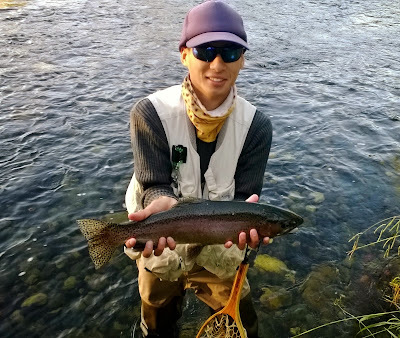 I was lucky enough to get a productive run early in the morning and manage to hook two 18''ish steelhead and one small native within five casts. Amazing! I am either very good at steelheading or lucky as hell. I was hoping the rest of the day was going to be the same but three thousand casts later it was not. I did manage to land a nice half-pounder on my midge pattern though. 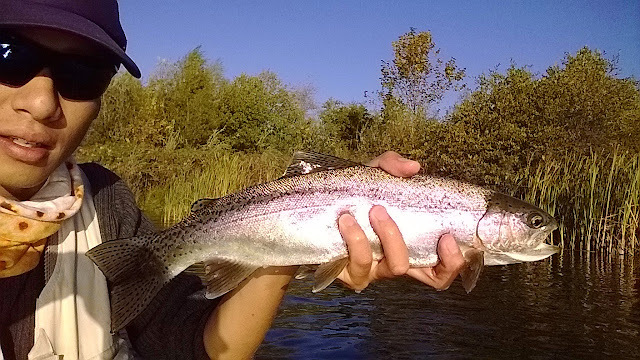 More anglers are going to start hitting the river for steelhead now. Salmon season is ending soon and the high-flow will be more steelhead-friendly hopefully opening up more space on the river for everyone. The salmon are starting to dig redds and pair up so the egg bite has pretty much begun. My fingers are crossed for that trophy 10 pounder this fall. I can only hope.